WHAT: University of Illinois Springfield and Lincoln Land Community College are excited to announce the 2019 Career Connections Expo. Community members, students and alumni from the hosting institutions and other colleges as well as community members are invited to attend the free event. The Expo is supported by advantage partners including Northwestern Mutual, NPR Illinois, MSF&W Inc., Omniskope and Wise Equation Solutions Inc. WHEN: Thursday, February 14, 2019, from 11:30 a.m. to 2:30 p.m. 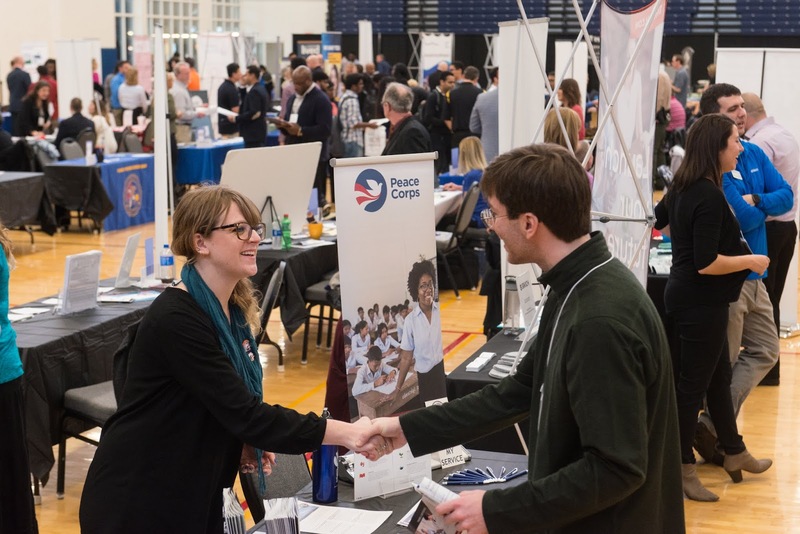 DETAILS: The Expo is designed to help attendees make professional connections, find jobs and internships and explore career paths. For potential employers, it is a chance to disseminate pertinent information and to develop a pool of candidates interested in current or future career opportunities. Representatives from more than 100 organizations are expected to be on hand. The event has an average attendance of more than 300 students, alumni and community members. Information for students, alumni and others: Pre-registration is not required, business-casual attire is required (NO jeans) and participants should bring copies of their resume to the Expo.